At Kitesurfing Lessons Gold Coast we generally use the Ocean Rodeo Prodigy or the Ocean Rodeo Flite for teaching our students as both these kites are very stable in the air, have light bar pressure, are extremely easy to relaunch off the water and are very smooth and predictable in power delivery which makes these kites ideal for teaching and learning. 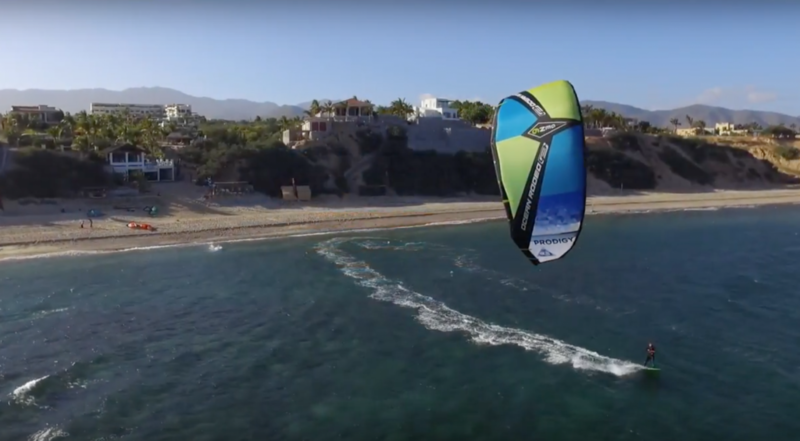 Built with a robust 3 strut design it features a massive wind range and incredible flight stability the Prodigy is an ideal choice for kiters looking for the perfect freeride or wave kite. With superb power delivery and a generous, forgiving feel the Prodigy delivers smooth turns and effortless big airs and hang time while sitting perfectly in the window and drifting with you when you’re powered up and on a wave. We have partnered up with East Coast Kitesurfing, the Australian Distributor of Ocean Rodeo kitesurfing equipment which enables us to secure some great deals on your kitesurfing gear when you take your lessons with us. The Ocean Rodeo Pilot bar is simple, effective and safe and highly recommended for our students at Kitesurfing Lessons Gold Coast. With a comfortable grip, a clean reliable safety release system and an easily controlled power system the pilot bar will keep you safe and in control out on the water. All Ocean Rodeo control bars have premium high strength flying lines along with industry standard push-away safety release system. 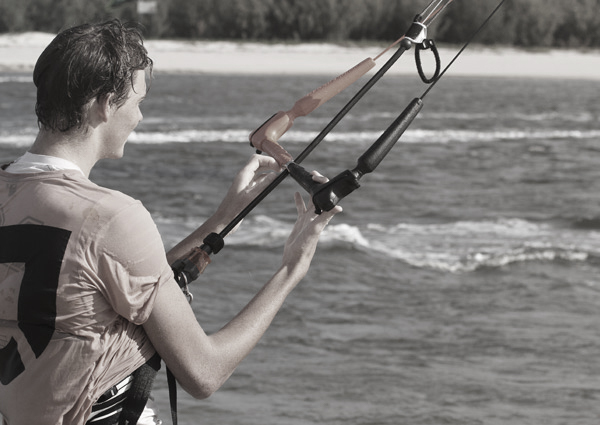 The Ocean Rodeo Shift bar is relatively new system in kitesurfing where by trimming the rear lines with a controller in the bar itself it’s much easier and leaves a clean and reliable system. Accompanied with Ocean Rodeo’s clean and reliable safety release system the Shift bar will also keep you safe and in control out on the water.